i’m not really one for resolutions of Year Summing Up, but i feel as though it might be nice to do a brief one. i’ll also be doing the far more interesting post soon, on Year Of Books and Book Resolutions, as that seems far more interesting to me. BUT. the garden has been a lot simpler (touch wood) for me since moving – the inclusion of four lavender plants & numerous marigolds has reduced the number of pests dramatically. everything’s going well – the main issue is my inability to get up early enough to Pre-Work Water, so i need to do it in the afternoon. 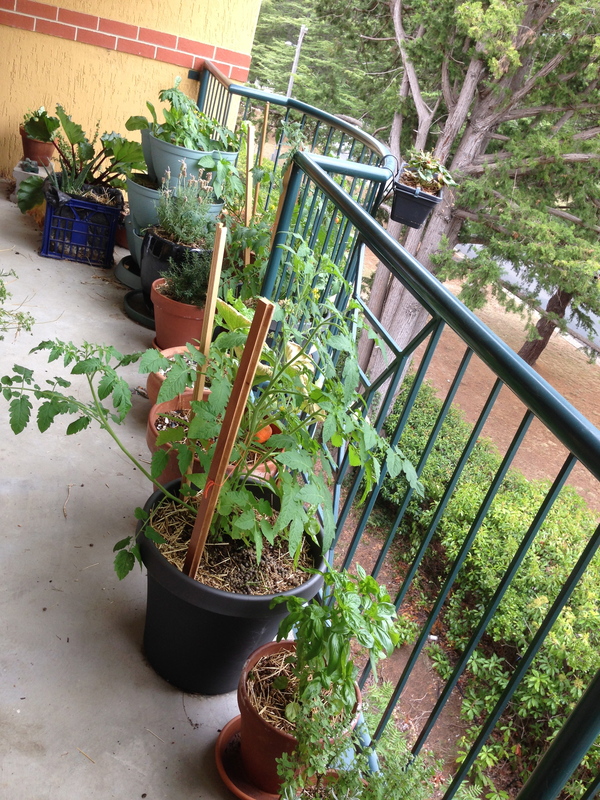 i don’t think it goes as well for the plants as the morning water, but i just haven’t managed mornings for some time. 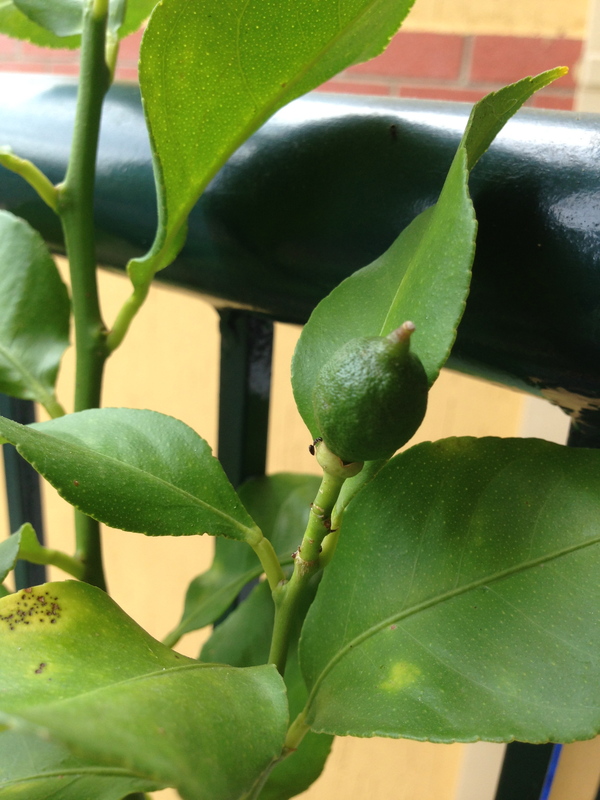 My lemon tree is the other noteworthy plant of late, which currently has at least two tiny fruit, and even more flowers. it’s really sad looking though – and the fruit is ripening slowly. a trip to the nursery is in order! 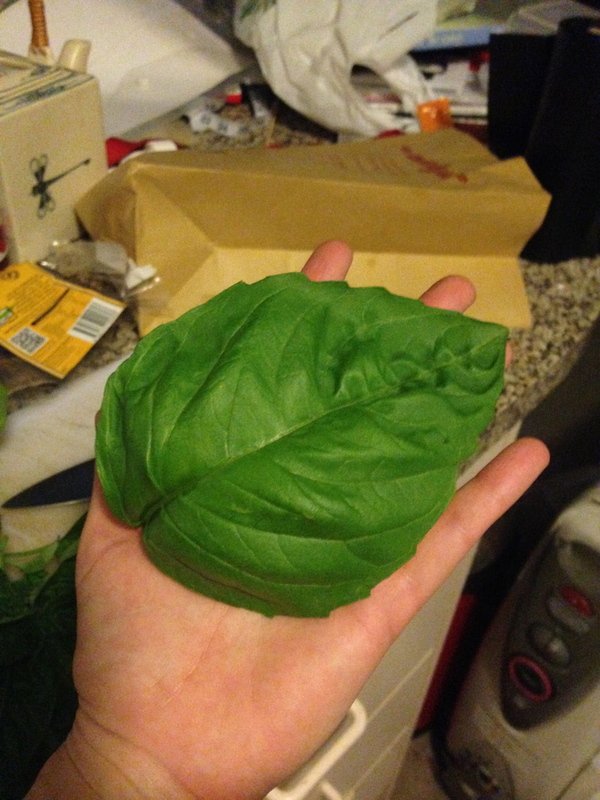 the basil continues to be slightly insane in terms of leaf size. i can say without a doubt that the heirloom variety i grew from seed is more successful than the nursery bought basil which was not heirloom. 1. my hand is small, 2. our counter is a bit of a mess. and my spinning goes well, if exceptionally slowly, due to my perhaps mad, labour intensive approach to scouring, which is currently involving combing the fibre lock by lock, washing it, and combing it once again before spinning from the lock. i seem to have gotten the treadle speed a bit better though to manage the short staple of the merino – pretty happy with that. on the wheel. 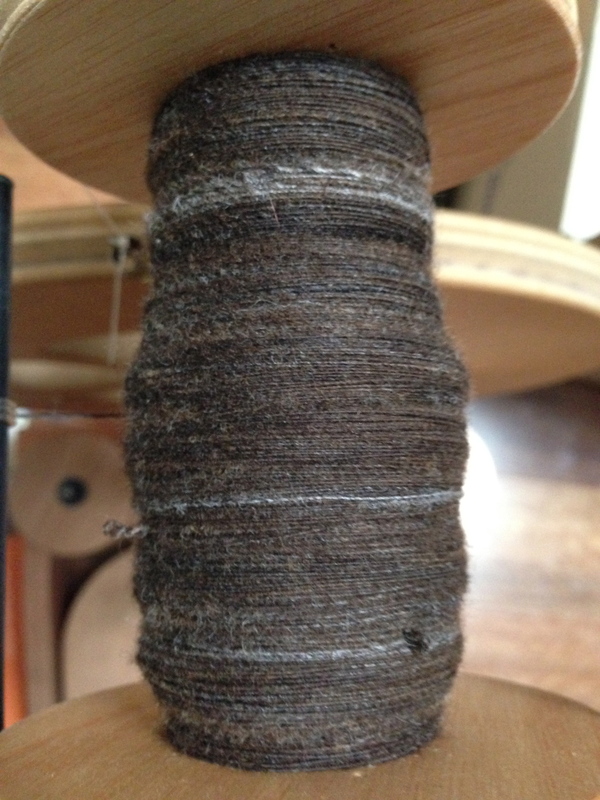 i really like the dappled colours of the fibre as it spins up. i always feel a bit weird listing achievements for the year – the big ones – buying an apartment, getting a promotion, earning a fellowship through work, and finishing my masters feel so much less important than the smaller things, like my superior balcony, learning to spin and knit better, and reading some bigger books i’ve been putting off for awhile. that’s taught me that i need to remember to keep my goals and plans in line with what i know to matter to me most. my job obviously is important to me – but even the fact that i would rather blog about my garden than about my profession says something really significant. my joy is not found in front of a computer screen at work. my joy, in general, is not found in front of a computer screen. i feel a lot of my frustrations with work have manifested in really heavy internet use – and not in an active, participatory sense, but in a passive scrolling sense. in no way do i view the internet as a bad waste of time – i just view the potential for passivity as the problem. i’d like to spend more time on my blog, and less on facebook – more time creating content. more time reading. more time putting work, and workplace issues, into perspective, rather than getting myself to the point i was at late last year, which was migraines – i blamed them on everything BUT work, but found that as soon as i was on holiday, they ceased. i would rather have spend more time with friends than destressing in front of perpetually updating my facebook, and more time talking to people on ravelry rather than reading tumblrs that make me angry. SO: to more plants, more craft, more books, more star trek, and more community. This entry was posted in craft, home, plants and tagged basil, knitting, lemon tree, spinning, spotty sheep. Bookmark the permalink. te he – the first thing we ate with them was cherry tomatoes, boccocinni wrapped in the leaves. it was amazing – the basil flavour is the most potent aniseed i’ve ever had, but it still seemed pretty well balanced.